StoryThyme is an evening of food & inspiration, with food from FunThyme Dining, and three interesting speakers. It's happening on Wednesday 21st August at The Oval in Bethnal Green. "Join us for an evening of inspiration and BBQ as we once again collaborate with our friends at Funthyme Dining & Events for a special Storythyme event on 21 August 2013 at East London rooftop, Oval Space. All previous Storythyme events have sold out so book your tickets quick! 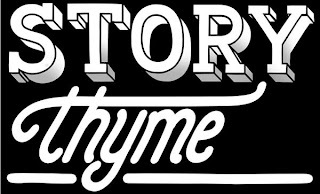 We are proud to be collaborating with Funthyme Dining & Events once more for our special Storythyme event.